A well-known St Andrews landmark has disappeared from outside the town’s aquarium. Thieves have stolen ‘Big Mac’, a six-foot mackerel statue which has been standing guard outside the popular visitor attraction for the last four years. Aquarium staff say they “noticed something fishy was afoot” following last Friday’s graduation festivities when Big Mac wasn’t in his usual spot. 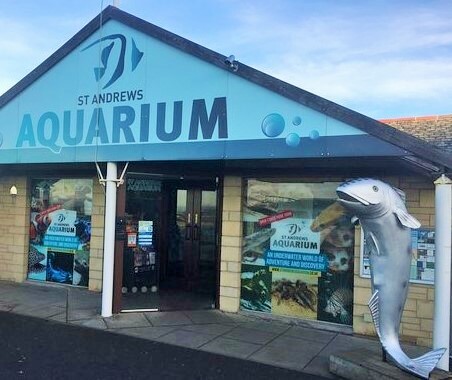 John Mace, managing director of St Andrews Aquarium, said, “Big Mac went missing from outside the Aquarium overnight on Friday, June 29 and he was last seen heading in the direction of the Town Centre. John has now launched an appeal to see the statue safely returned, promising that it will be “no questions asked” if Big Mac makes his way home. Fife Police have been informed.